When you search Google for terms related to your business, is your website listed on the first page of results? If not, don’t worry. There are a few steps you can take to improve your presence on Google and make sure people find you instead of your competitors when searching for your type of business. Although there are three primary sections in Google where your website could potentially rank: paid results, local results, and organic results, we're going to focus this article on ranking for local and organic results. The local results section lists businesses in the visitor’s local area. For example, if you search “pizza cincinnati,” Google will show three pizza spots in Cincinnati. Furthermore, if your location is turned on, Google will list pizza restaurants closest to your current location within Cincinnati. Organic results, however, are a little different. This section includes a wider range of websites— not just local businesses. While location may still be a factor in the organic results, it is not generally the dominant factor. The main factor is authority of the website, which is why you will often see sites such as Yelp, Angie’s List and Facebook show up at the top of this section. Why Focus on Local Results? Higher chance of ranking – In the local results, you are only competing against other businesses in your area. 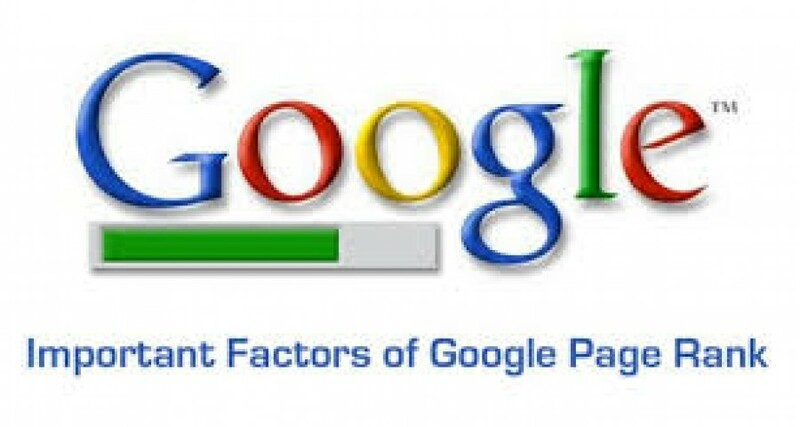 This gives you a higher chance of ranking compared to the organic results. This is not to say that local businesses can’t show on the first page of the organic results. If your business is located in a less competitive market, like a nail salon in a small town, you have a better chance getting listed there. Most small businesses, however, have their best shot ranking in the local results. Keywords are the words and phrases that customers type into Google when looking for your business or the types of products and services your business offers. Consider signing up for a free Google Adwords account to gain access to Google’s keyword planner, which allows you to find the approximate number of searches that a particular keyword gets in a given month. Your Google My Business page is a huge factor in whether or not you will rank in the local results section of Google. In fact, it’s very difficult to rank without one. Google My Business pages also serve the important function of providing information about your business like: ratings, price, category, description, address, hours of operation, and pictures. When someone searches for the name of your business directly, you also have the chance to display a panel on the right-hand side. This is great for small businesses, since not only do you get a lot of space on the first page, but you are also able to immediately tell the story of what your business is about. To get started on optimizing your page, you will need to either claim your current business or create a new one depending on whether or not you already have a page. If you are unsure, you can go to google.com/business to search for the name of your business. Here is a step-by-step guide for setting up your Google My Business page. Include keywords in your description – Remember the keywords you found using Google’s keyword planner tool? Use those in your description but do not just include a list of keywords. Keep keywords in mind when saving images and videos – and use them as alt text. Choose your category carefully – Your category is a deciding factor in whether your business will be deemed relevant to a search. Make sure it is as descriptive of your business as possible. Ask and respond to reviews – Businesses with more reviews are likely to rank higher. You will also want to respond to both negative and positive reviews because owner response could boost your ranking as well. Use a consistent address – Make sure the address you use is consistent with the one on your website and across directories (such as Yelp and Angie’s List). One of the methods that a search engine uses when deciding if it should rank your website is looking at the text on the pages of your website. Google quickly reads your website and picks up keywords that it thinks your website is about. Therefore, you want to make sure you are including the keywords that you want to rank for multiple times within your site. Be specific as possible. Make sure that every page of your site has your business name, address, and phone number with local area code. Make sure the above information is in text and not an image so it can be ‘seen’ by Google. Make sure to include a descriptive title tag that includes what your business is and where it’s located. Put your primary keywords, areas your business serves, and phone number in your 165 character meta descriptions. You should see a place to add your title tag and meta description on the back end of your website. Embed a Google Map on your “contact us” page by searching for your business on Google Maps and then clicking share on the left and then embed to get the code. Your business is more likely to rank higher in search if it has mentions outside of your website on sites like Yelp and Citysearch. When your business is listed in an online directory, this is known as a structured citation. Being listed in several directories lets Google know that a lot of people know about your business. Your customers look to these types of directories to find businesses like yours. These directories are likely to rank higher in Google’s organic results since they have high authority. This means that even though your website may not appear in the organic results, your business could show up here by being listed on a site like Yelp. Citations include a combination of your business name, address, and phone number, with the best citations including all three. Google looks at structured citations, and the consistency of those citations across the web, to determine things like your correct address and phone number. With this in mind you want to make sure that you are always using the same address and contact information. Here is the definitive list of directories that every business should consider submitting themselves to. This list not only includes top directories that every small business should be listed in (Yelp, TripAdvisor, etc.) but also industry specific and local directories that you can choose from based on your business type and location. Unlike submitting your site to a business directory where your full information will be placed in a structured format (structured citations), unstructured citations and links are things like a mention of your business in a local newspaper article, press release, online job board, etc. Unstructured citations and links are important because they let Google know that people are talking about your business, a key factor in ranking higher in the local results. Let’s take a moment and clarify the difference between an unstructured citation and link. A link is a citation that includes a direct link to your website. If you notice a citation for your business in a local online newspaper you should reach out and ask if they are willing to link the citation to your website. Turning a citation into a link will boost its effectiveness as a ranking factor. Creating buzz about your business is important because it not only gets people excited about your business, but if done right, it can let Google know that people are excited about your business. Make sure you are taking advantage of any event you are holding or sponsoring by getting press about the event. Here is a guide to getting local press that will give you ideas on how to shed a spotlight on your business. Reviews are important to your small business because having reviews is likely to be a ranking factor on Google. People are also more likely to click and visit your business if it’s listed with several great reviews. Although there are many different review sites out there, we believe Google and Yelp are the two most important from a ranking standpoint. So how do you get reviews for your Google My Business and Yelp pages? Don’t be shy about just asking your customers for reviews. Send out customer feedback surveys and then ask for reviews from those who gave you high marks. Add links to your review pages from your website. For more on where and how to get reviews, view our guide to online reviews here. Updating the content on your small business website can be time consuming, and you may think that including a blog is not something that your site needs in order to be successful. However, if you are having trouble ranking on the first page on Google, including a section on your website with frequently updated content (ie a blog) could boost your website higher in organic and local search results. Your website is current – By updating the content on your website, you are sending the message that you regularly include current content on your site. Beware, this will have the reverse effect if you have a blog that is only updated once a year, so if you are going to include a blog, make sure you refresh the content fairly often (preferably once a week). Your website is relevant – By having more content on your site, there are obviously more keywords that you could potentially rank for. For example, if you own a gym, it would be a good idea to have a section of the website dedicated to tips on how to keep in shape and stay healthy. That way, when someone searches “how to stay fit” on Google, your website will have a chance of showing in the organic results section, even though this type of search would not trigger a local results section. The process of ranking on Google’s results page is never over, and the moment you think your job is done is when you will notice that your competition has outranked you on the results page. You need to be consistently looking to get new reviews, citations, links, and updating your website content (via a blog) to let Google know that your site is up-to-date and relevant for today’s user. Click here to read the article in its entirety by Jeremy Marsan.